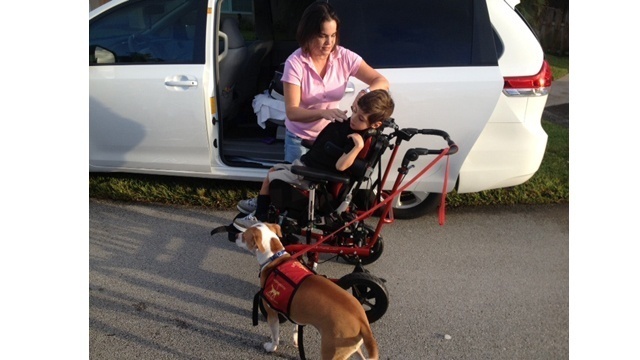 SUNRISE, Fla. – Anthony Marshante, a 5-year-old with cerebral palsy, arrived for his first day of kindergarten Monday with his service dog that was originally denied to him by the Broward County Public Schools district. The boy’s mother, Monica Alboniga, brought the pair to Nob Hill Elementary in Sunrise. “I’m very nervous because it’s the first day and I don’t know when I’m going to the school what will happen. I am waiting,” she said.